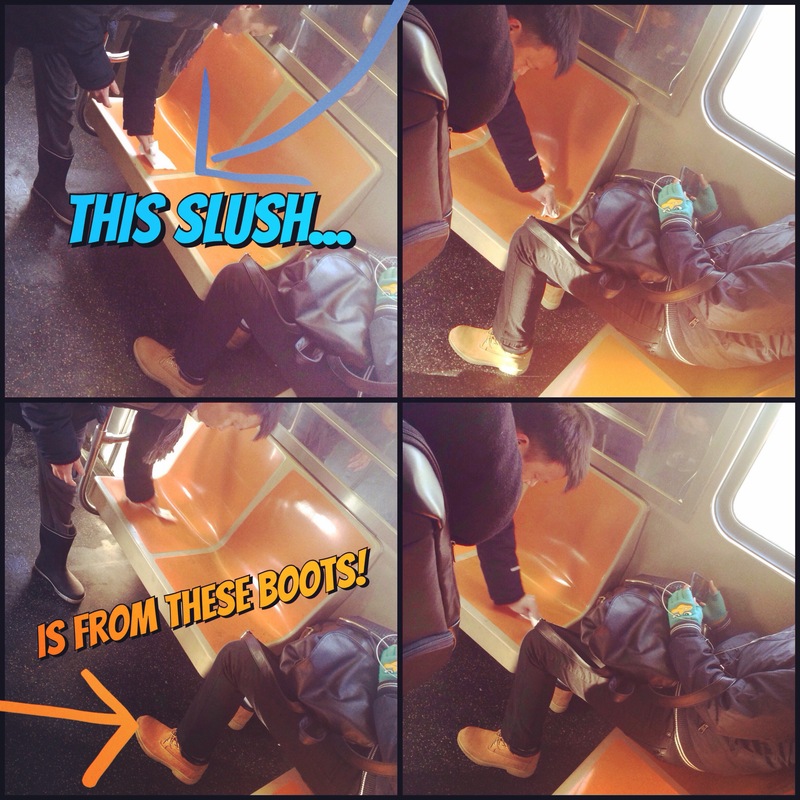 Last week I saw a kid put his slush cover boot on a subway seat so he could tie it. Before I could get out my phone to take a photo he just sat in it. I guess he truly did not care.